Bangladesh is one of the fastest urbanizing countries in the world. Since independence, its urban population has grown at about 6% annually. The number of urban areas increased five-fold in less than twenty years and is concentrated in the four largest cities: Dhaka, Chittagong, Khulna and Rajshahi. Dhaka is the epicenter of Bangladesh’s urban expansion and is said to be the fastest growing city in the world – it is currently estimated that 400,000 migrants, mainly poor and from rural areas, continue to arrive each year. Of an urban population of 44 million people in 2010, an estimated 9.4 million people (21.3 per cent) are living in absolute poverty, and 3.4 million (7.7 per cent) are in extreme poverty with consumption levels of around 1,805 Kcal per day or less. Urban migration is largely a result of seeking better educational and employment opportunities, especially in the readymade garments sector. Push factors are also important: While most people migrate for economic reasons, more than 26% do so due to environmental and climate related reasons such as natural disasters, river erosion and recurrent flooding. Many of the migrants are concentrated in urban slums as squatters where they live in poor conditions, with limited access to urban basic services. 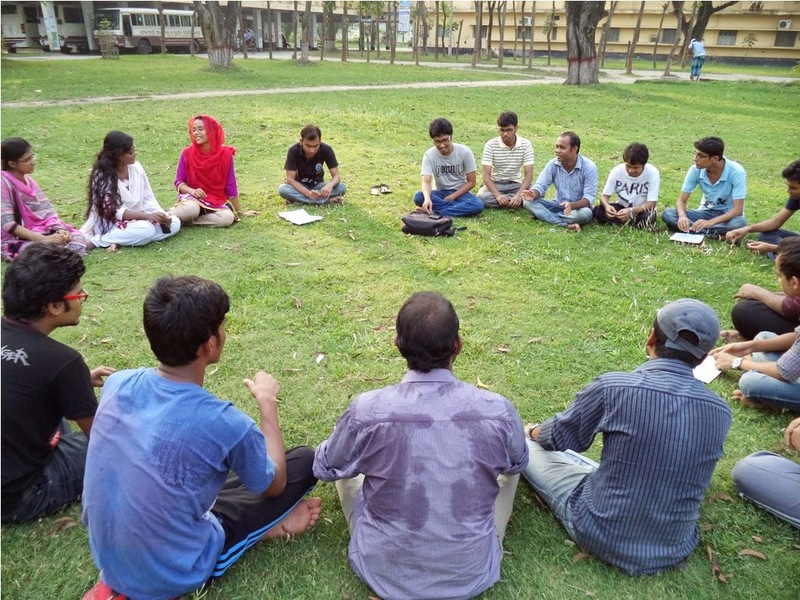 Participatory Development Action Program (PDAP) and Coalition for Urban Poor (CUP) have been engaged in improving the socio-economic conditions of the urban poor in Bangladesh for many years. 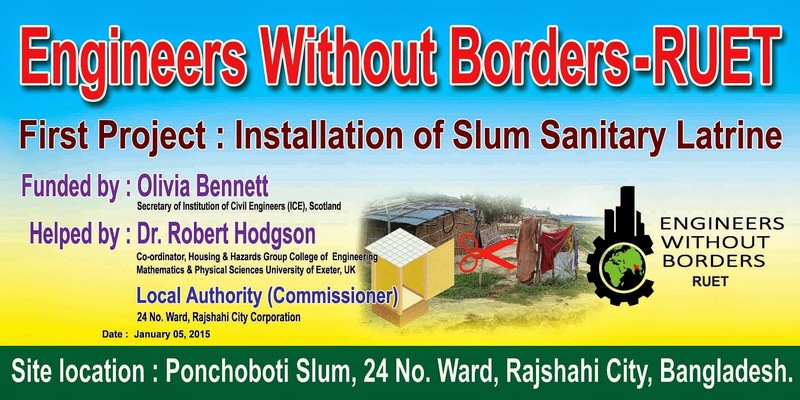 UN-Habitat also spearheaded an urban poverty alleviation project over 15 years. Based on the experiences of working with the poor communities and their local representatives, it was observed that the people on the ground who actively contribute to urban development never were discussed in planning, nor included in the implementation of any development programs; rather they were viewed as clients with no stake in program success and urban development. 1. Sharing the New Urban Agenda for better understanding at the local level. 2. Strengthen the engagement of the urban poor community, local representatives, and the private sector in implementation of the New Urban Agenda. 3. Develop a declaration that lays out an agreed upon strategy for future courses of action. The UTC model is a unique initiative developed by UN-Habitat’s World Urban Campaign (WUC) to solicit input to The City We Need (TCWN) involving 14 constituent groups such as Local and sub-national authorities, Research and Academia, Civil Society Organizations, Grassroots organizations, Women, Parliamentarians, Children and Youth, Business and Industries, Foundations and Philanthropies, Professionals, Trade Unions and Workers, Farmers, Indigenous people, and Media. The Urban Thinkers Campaign is conceived as an open space for critical exchange between urban actors who believe that urbanization is an opportunity and can lead to positive urban transformations. It is also intended as a platform to build consensus between partners engaged in addressing urbanization challenges and proposing solutions to urban future. The Campus is meant to be a place to share, learn and brainstorm on the new urban paradigm towards Habitat III. The format of the campus is flexible, based on open facilitated sessions, allowing for poor grassroots women leaders and local councilors participant interaction. Series of UTC were organized in different countries to provide inputs to New Urban Agenda. (i) Roundtable sessions on the ground with poor community leaders and ward councillors in Gazipur on 6 May 2017, Rajshahi on 17 May 2017 and Mymensingh on 16 May 2017. 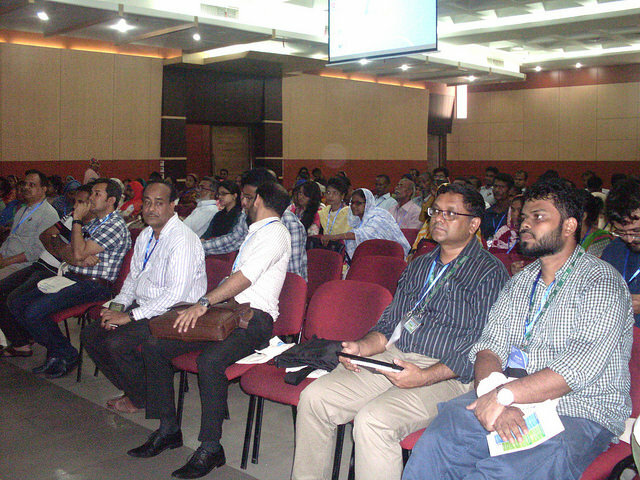 The outputs of these roundtable sessions were presented at the larger plenary session in Dhaka. 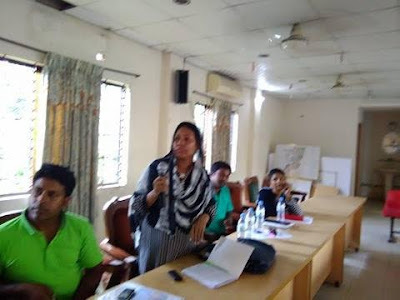 The first roundtable session in Gazipur was attended by more than 60 participants representing poor urban communities, ward councillors and city corporation’s staff. The roundtable discussed two issues; Access to urban basic services for all and Resource mobilization for the services. It was a successful program and participants engaged actively. The recommendations were noted by the participants and drafted for presentation in the final plenary session in Dhaka. The roundtable session in Mymensingh was attended by more than 50 participants representing poor urban communities, ward councillors and city corporation’s staff. The roundtable discussed two issues; Access to basic services for Urban poor and Urban planning and Disaster preparedness . It was also a successful program with active participation. The recommendations were noted by the participants and drafted for presentation in the final plenary session in Dhaka. 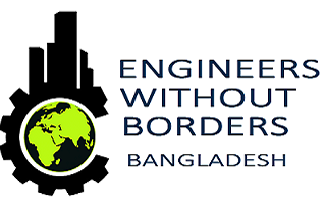 The final roundtable was held at Rajshahi, jointly organized by Engineers Without Borders. 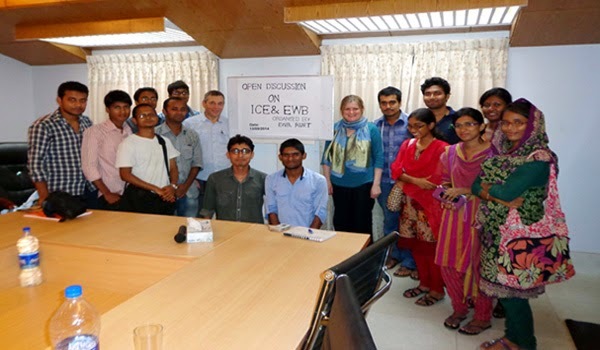 They had conducted several FGD sessions with different target groups and finally agreed to key recommendations for the Plenary session in Dhaka. (ii) To get extended coverage and publicity around the UTC, a session on Meet the Presswas held on 19 May 2017, a day before the main event at the National Press Club, Dhaka with representatives from electronic and Print Media. The session was chaired by renowned expert Prof. Nazrul Islam of CUS. About 50 participants from media and civil society organizations attended the event. The objectives of the proposed UTC and detailed programme were shared with the media, followed by answering questions from the media. (iii) The two days UTC main event was held at AUST with parallel sessions; urban lab, opening and closing session, and final declaration. Chairman of PKSF Dr. Qazi Kholiquzzaman Ahmad attended as Chief Guest in the opening session held on 20th May 2017. The opening session was also attended by special guests; Professor Dr. Kazi Shariful Alam, Treasurer AUST, Ms. Masuda Faruq Ratnan Convener of Programme Committee, CUP. Dr. Khurshid Zabin Taufiq, Director, Urban Development Directorate (UDD). Dr Taufique also presented the paper on the New Urban Agenda. In his presentation he briefly described the vision of his institution, the Urban Development Directorate, need for greater cooperation among all stakeholders for the “City We Need For All”, policy reform and importance of urbanization policies and equitable services for all. To ensure good urban governance we need work with everyone in the city and also outside the city. The session on Ensuring Basic Service Delivery was chaired by Shah Md Anowar Kamal, Treasurer, CUP and Coordinator, WSSCC-B. The panel member was Mr. Asif Imran Khan, Advocacy Officer, Concern Worldwide. Mr. SMA Muyeed, Urban Coordinator RIC presented a paper on the topic. Running parallel to this session was one on Inclusive Urban Planning chaired by Professor Abul Kalam, Jahangir Nagar University and Chairman BIP. Dr Mainul Islam, Associate Professor Dhaka University and Mr Sujaul Islam Khan, Professor of Architecture AUST joined as panel members. 1. Recognize the urban poor as integral part of the urban society and build their capacity to ensure participation in urban planning and development. 2. Introduce social protection schemes for all including the elderly people. 3. Provision for establishing counseling center to assist the newly arrived poor people from rural areas regarding knowledge about the city life, location of service points, and how to get access to services. 4. Promote culture and respect for diversity and equality as key elements in making our cities good human settlements. 1. Make provision for transportation system for the poor people at affordable cost with special emphasis on walkways, bicycling, disability and elderly people. 2. Create provision for education, social and cultural support to the children of the poor community ensuring they become future leaders of the city we need, leaders that don’t discriminate. The second day (on 21 May 2017) started with plenary session to recap yesterday’s work and to brief about closing days activities. A roundtable session on Housing and Security of Tenure for the Poor was chaired by Mr. Mostafa Quaium Khan, Coordinator BUF. With Ms. Rabeya Sultana, Country Director, Help age International and Ms Sonia Islam, Architect and Urban Planner as panel members. 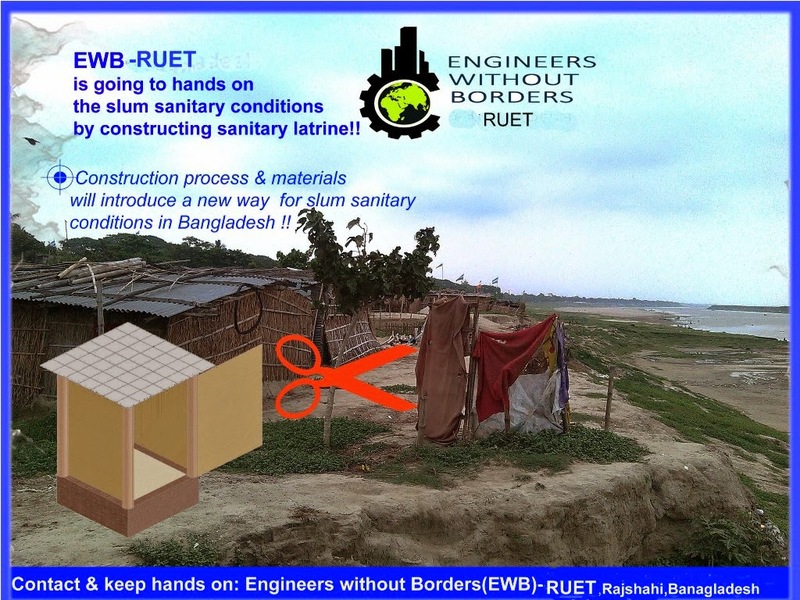 Professor of Architecture AUST, Mr Sujaul Islam Khan presented his paper on this vital issue. The next parallel session was on Disaster Risk and Management in the City, which was chaired by Dr Khwaja Shamsul Huda, Director Programme, DAM. He was joined by Dr. Saleemul Huq, Director ICCCAD and Mr Sarder Shafiqul Alam, Senior Research Coordinator ICCCAD as [panel member Mr Mohammed Jahangir Alam presented a paper on this issue on behalf of DAM. Ms. Zahida Fizza Kabir, Executive Director- SAJIDA Foundation chaired the two final sessions of the day where Mr Uttam Kumar Saha from Practical Action presented a paper on Technology, Innovation and Opportunities. Ms Kabir was joined by Ms Swapna Reza, MSS. Following this session was one on Governance and Resource Mobilization was discussed by Mr. AKM Tariqul Islam, CEO Mymensingh Municipality and Ms. Rasida Akter Jharna, Councilor (ward no. 6,7, and 8), Dhaka Uttar City Corporation. 1. Make provision of access to affordable housing, transport, utility services, education, health, legal, social, and security related services. 2. Ensure access to land, housing and services with provision of soft term loan based on cross subsidy to the low-income group. 3. Promote special housing or accommodation support and day care center to working women at affordable cost with shared responsibility of the owners and the government. 1. Promote Inclusive urban planning to address the needs of people from different economic class, occupation, gender, age, physical and disability. 2. Promote risk sensitive planning by sharing experiences and knowledge of local community and create awareness and understanding to cope with a post disaster at local level. 3. Ensure building green city with provision of affordable transport, public space, parks, etc. for all. 4. Address the environmental pollution properly and maintain water bodies, forest, parks, etc. to ensure a green city. 1. Encourage innovations and alternative technologies for services based on the need of all societies. 2. Ensure rights of the informal workers such as housekeepers, transport workers, security guards, vendors, etc. with employment conditions. 3. Include economic development in planning with provision of skill development training and employment of eligible people irrespective of economic class, occupation, gender, age, physical and disability. 1. Increase resource generation at equitable rate for future operation and maintenance of all the urban facilities. 2. Encourage support from private sector in the form of charity, foundation or trust to the disadvantaged groups. The Closing Session was chaired by Dr. Ehsanur Rahman, Executive Director for Dhaka Ahsania Mission. Present as Chief Guest was the Honorable Member of Parliament, Democratic Republic of Bangladesh, Ms Qazi Rosy and she was joined by Mr. AKM Tariqul Islam, CEO Mymensingh Municipality, Mr Moinuddin Ahmed, Assistant Director, The Asian Age and Mr Md Akhtaruzzaman, Country Representative of UN Habitat. All guests appreciated this initiative and agreed to work together in future. The principal outcome is a declaration that outlines future action, by private sector, local authorities and grassroots women and men. The goal of these actions is to engender inclusive urban planning and development that addresses the needs of the people on the ground. More than 225 grassroots women, men, local councilor, stakeholders, experts, Architects and urban planner attended at the Urban Thinkers Campus 2017. Their active participations and patience have made our event successful. The Urban Thinkers Campus “The Participatory & People-Centered New Urban Agenda: Voice from the grassroots” has been organized around an inaugural session, Urban Thinkers sessions and Urban Labs, and several roundtable dialogues at Ahsanullah University of Science and Technology, Dhaka (main event) and with the poor communities and local government representatives at Gazipur, Mymensingh and Rajshahi towns. The emerging recommendations from these roundtable sessions/dialogues were brought to discussion in the final plenary; the concluding session produced a set of recommendations as Dhaka Declaration in 6 thematic areas with call for joint actions by the stakeholders. B. Recognize the urban poor as integral part of the urban society and build their capacity to ensure participation in urban planning and development. C. Ensure rights of the informal workers such as housekeepers, transport workers, security guards, vendors, etc. with employment conditions. D. Introduce social protection schemes for all including the elderly people. E. Provision for establishing counselling center to assist the newly arrived poor people from rural area regarding knowledge about the city life, location of service points and how to get access to services. F. Promote culture and respect for diversity, and equality as key elements in making our cities good human settlements. B. Make provision for transportation system for the poor people at affordable cost with special emphasis on walkways, bicycling, disability and elderly people. C. Create provision for education, social and cultural support to the children of the poor community for becoming future leader of the city we need without any discrimination. D. Encourage innovations and alternative technologies for services based on the need of all societies. B. Make provision of access to affordable housing, transport, utility services, education, health, legal, social, and security related issues. C. Ensure access to land, housing and services with provision of soft term loan based on cross subsidy to low-income groups. D. Promote special housing or accommodation support and day care center to working women at affordable cost with shared responsibility of the owners and the government. B. Promote Inclusive urban planning to address the needs of a diversity of people; different economic classes, occupation, gender, age, and disabilities. C. Include economic development in planning with provision of skill development training and employment of eligible people irrespective of economic class, occupation, gender, age, physical and disability. D. Promote risk sensitive planning by sharing experiences and knowledge of local community and create awareness and understanding to cope with a post disaster at local level. E. Make provision for engaging the city leaders (elected Mayor, Counsellors) on board for inclusive planning and all development activities. F. Engage all kind of media to promote the ideas of livable City in line with SDGs and New Urban Agenda. B. Increase resource generation at equitable rate for future operation and maintenance of all the urban facilities. C. Encourage support from private sector in the form of charity, foundation or trust to the disadvantaged groups. B. Ensure building green city with provision of affordable transport, public space, parks, etc. for all. C. Address the environmental pollution properly and maintain water bodies, forest, parks, etc. for green city. 1. How do you intend to monitor the achievements and progress in the implementation of your action plan approved at your Campus (success indicators and other measures of achievement should be proposed)? We intend to organize local dialogues, workshops and meetings where local government representatives, planners, and local community leaders will be joining and openly discuss the action plan and the implementation. 2. Community based network’s influence on urban policy and practice. 3. Diversity of stakeholders involved in urban planning and resilience efforts. 4. Number of participants at local meetings. 1. Development of grassroots women practices and leadership skills. 3. No of exchanges of local risk reduction and resilience building practices. 4. Participatory dialogues between grassroots women and other urban stakeholders to establish multi-community action plans. 1. Increased public awareness about the importance and use of public spaces. 2. Residents can list at least two health and well- being related reasons why public spaces are important. 3. Number of participants at meetings and number of people who join the movement. 4. Frequency of gatherings of movement participants in public spaces. 5. Presence of funding designated to support this action. 1. Explain how you intend to share the results of your action plan with the WUC community and other partners in order to jointly implement the New Urban Agenda? ● Through Huairou Commission, we will share the results of our action plan with the WUC community and other partners in order to jointly implement the New Urban Agenda. 2. Professor Dr. Kazi Shariful Alam, Treasurer AUST as Special Guest. 6. Mr SMA Muyeed, Urban Coordinator RIC presented a paper on the topic. 10. Dr Khwaja Shamsul Huda, Director Programme, DAM. 12. Mr Sarder Shafiqul Alam, Senior Research Coordinator ICCCAD. 13. Mr Mohammed Jahangir Alam, Assistant Director, DAM. 16. Ms Swapna Reza, MSS. 18. Ms. Rasida Akter Jharna, Councilor (ward no. 6,7, and 8), Dhaka North city Corporation. 19. Dr. Ehsanur Rahman, Executive Director for Dhaka Ahsania Mission.